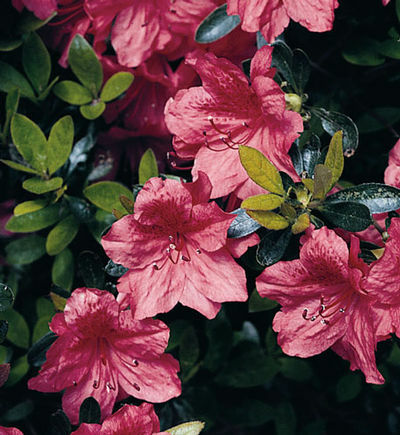 This azalea among several hundred Glen Dale hybrid varieties was introduced by Ben Morrison at the USDA Plant Production Station in Glen Dale, MD. Developed for its cold hardness in the mid-Atlantic states, flower buds are hardy to 0° temperature. Fertilize in the spring after blooming with food for acid loving plants. For a formal sheared hedge planting 2 to 3 feet apart is recommended. When a natural hedge is prefered space 6 to 8 feet apart. Click on the "About Us" tab to find planting instructions.